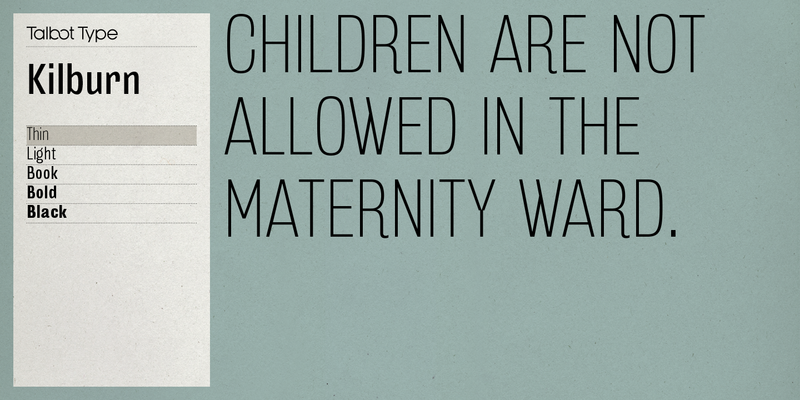 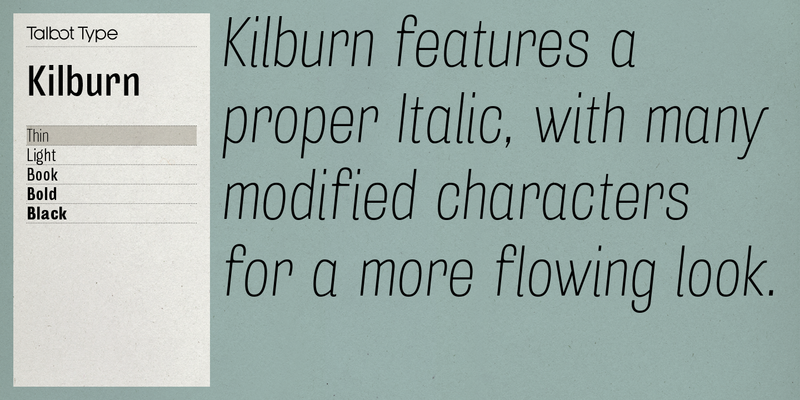 Kilburn is a no-nonsense, condensed Gothic sans-serif. 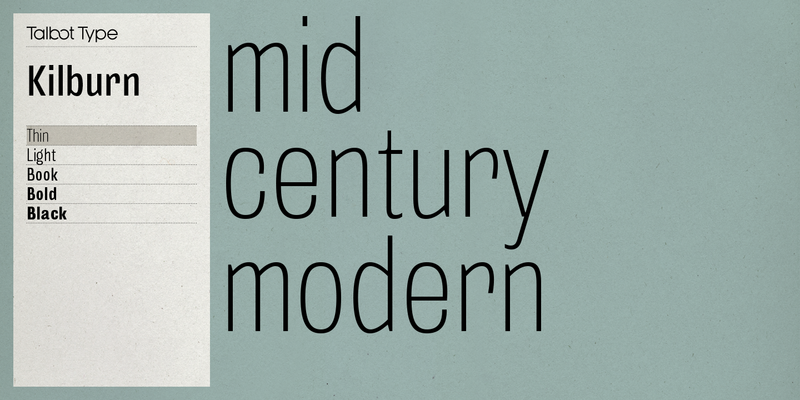 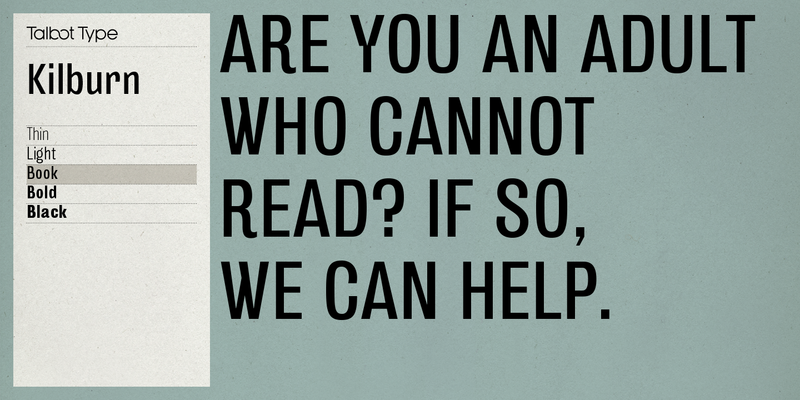 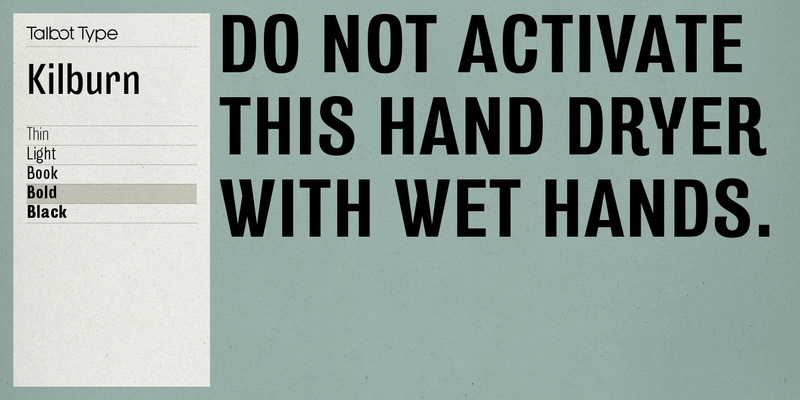 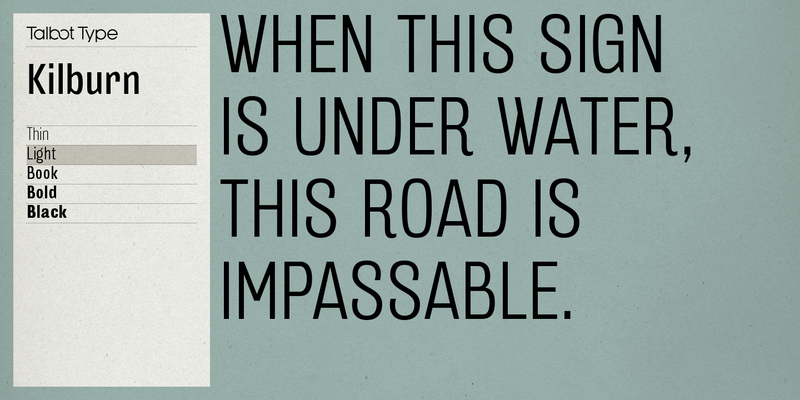 For over a century the condensed sans-serif has been the 'go to' font for gravitas and authority. 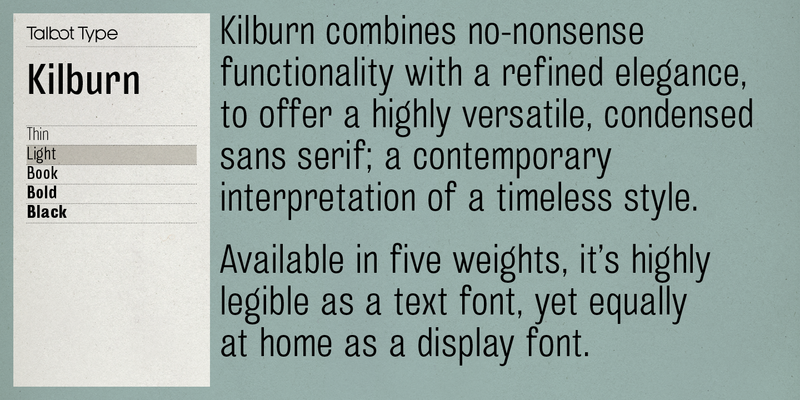 Kilburn continues in the fine tradition of fonts such as Franklin Gothic, News Gothic and Trade Gothic offering a contemporary interpretation of the condensed sans-serif — functionality with personality. 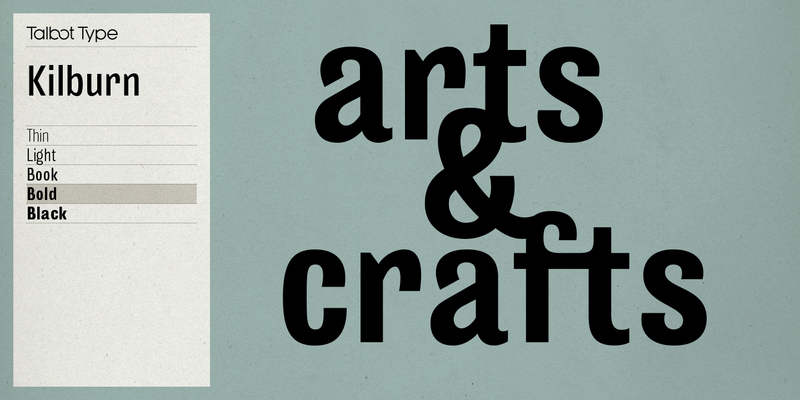 Equally at home as both a text and display font, Kilburn is available in five weights from Thin through to Black.